Having the best bushcraft knife should allow you to dominate and come out as a conqueror in any complicated survival situation. As you go out into the wild, you may be faced with challenging and terrifying situations, and a good knife can save your life. 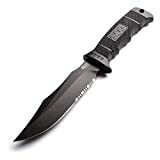 However, selecting the best survival knife or the best tactical knife is very crucial since your whole life may be depending on it. If you have ever spent a night or two in the wild, then you understand the usefulness of the knife. Are you planning a wild adventure? Well, then you should make this knife one of your best friends. Of course, you will also need to pick the best backpacking tent and grab a durable water bottle for your outdoor adventure. Bushcraft is a trendy term for wilderness skills used in Canada, United States, Australia, United Kingdom, South Africa, and New Zealand. 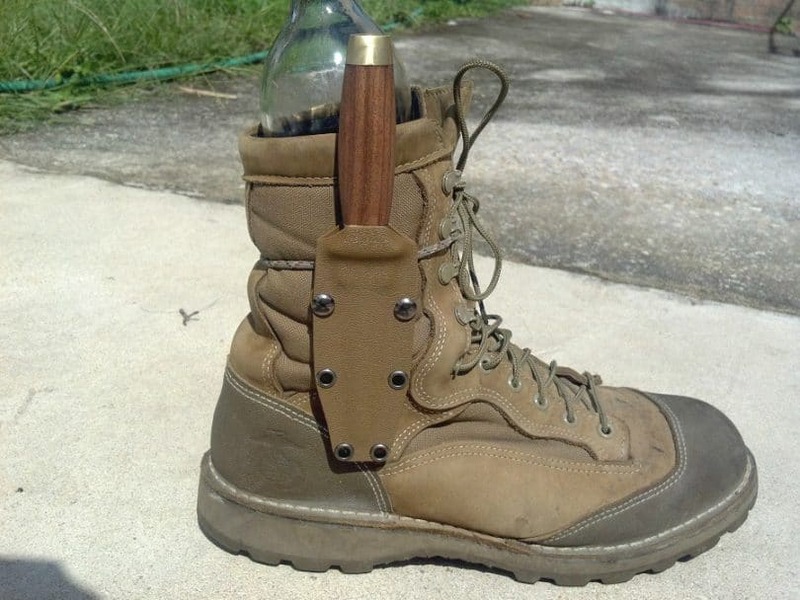 The right thinking of this survival knife is that, if you do not have it when in the wild, you may be in danger as it can save you. This knife is equipped with the right features (we will go into detail in later sections) to help an adventurous person survive. 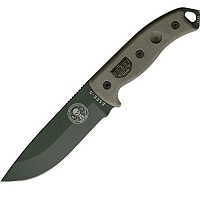 Whether you are in the wilderness, in the bush, or in the urban, you need a survival knife. When Do You Need A Knife For Bushcraft? The main aim of hunting is for you to get food while in the wild. With such a knife, you can be able to track animals and skin them for food. You can also be able to fish with its use. You can use a bushcraft knife to chop or cut items when in the wild. For example, if you want to make your way you can use it to clear bushes. With the use of a good survival knife, you will be able to build a shelter. For example, when pitching a camping tent, you can use the knife to cut the required woods for tent completion, create tent pegs by holding a knife firm and more. You need to build a reliable shelter so you can enjoy the best sleeping bags. An effective bushcraft knife can be the best self-defense knife. You can use it to rescue yourself when attacked by an animal and make artificial weapons against the animals. It can save your life. This is a perfect knife for bushcraft. It is made from top-notch materials and design that is unique when compared to other knives. This knife retails at around $100 to $130. 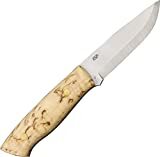 It is one of the higher priced bushcraft knives I have used, and it is surely good. 3-inch long blade: This makes larger tasks such as cleaning bushes easy, as well as easy tasks including curving or setting traps. Leather sheath: Great for carrying and protecting the knife when not in use. Excellent material since it is made from D2 which is semi stainless. This knife combines several design ideas into a single knife. With an agile and precise blade, a burly handle that offers excellent grip and a great sheath makes it the best one. It comes with additional accessories. If you want to go to the wild with a cool look, this is the best knife for you. It is a partially serrated tool that is ideal for backpacking, hiking, or any another outdoor activity. 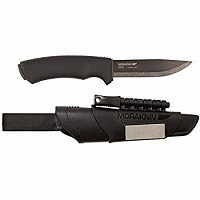 This is one of the best outdoor survival knives. With its overall length of 10.5 and a blade of 5.5, this beauty is enough for your sweeping motions, and it is effective when you want to cut or chop your way through foliage. This is one of the most recognized bushcraft knives ever made. It is made to handle all the tasks in the bush, from soup to nuts. Full tang type is making it a general purpose knife. For example, you can chop, cut, clear bushes, and more. Packed with additional features such as glass breaker, spine gimping, and bow drill divot making your outdoor experience more adorable. So, what are the essential characteristics of top bushcraft knives? Opinions differ but here are some things to think about. Your knife is going to do both wet and dry duty. It is recommended to choose a blade material that is rust-resistant. Also, it is best to select a knife whose handle material and design gives a firm grip in slippery conditions. An example of this would be bushcraft situations requiring skinning knives. 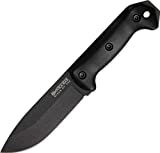 The majority of people feel that a fixed blade is more sturdy than a folding blade. There are quite a few folders manufactured by reputable knife makers which would work nicely. In a recent article listing their choices for the best hunting knife, “Outdoor life” lists both folders and assisted-opening options. One point on which there is almost total agreement is “full tang” because this is the strongest of all options. Simply put, full tang means that the knife blade is a single piece and extends into the knife handle. For more information, here’s the Wikipedia explanation. We end up using the knives that feel good in our hands. Knives which don’t have the right “feel” are going to stay home more than they are going to travel. One big “feel factor” is the weight, and a large part of the weight is the blade. Opinions vary, from about 8–28 cm (roughly 3-11 inches), as to the ideal blade length. We recommend going for comfort rather than according to a set idea. A very popular grind is the Scandi (Scandinavian). The main reason for this popularity is simplicity. The scandi grind is one, primary grind which creates a nice wide and flat bevel. As there is no secondary grind, the scandi is easily done (and redone). Thus, most knife owners will be able to do the sharpening themselves. The only downside is the slight fragility. However, this is relative. For most bushcraft uses, the scandi grind works well. Though these knives are considered as small tools, their significance with performing particular wilderness skills is important as these knives can help in hand-carving any wood, construction of containers from different natural resources and also twine and rope making. 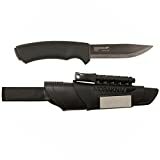 With the use of these knives, anyone who chooses to spend their vacation in the wilderness is sure to find enough time enjoying all the knowledge and skills that they can acquire with the use of these knives. Knowing how to care for your Bushcraft Knife, no matter the type will help you greatly improve the lifespan of that knife; be it stainless steel, carbon steel, or whatever type of knife it is. Your ability to take care of your knife will help make it useful when you most need it. This is probably the most important aspect of owning a knife. We all expect our bushcraft knives to be effective and durable, but if your knife is not properly taken care of, rust and other damages can cause it not to function properly. Store your knife safely: proper storage helps to keep your knife functioning. Any moist on a knife can cause that knife to become defective. Moisture could make it rust and become blunt, so it is best to store it in a very safe, clean and dry place where moisture can’t damage it. Any time your wet fingers or any wet material touches or handles your knife, always wipe it clean with a dry cloth before putting it away. When hunting in the rain or a rainy weather, a weatherproof case is best for storing your hunting knives. Constantly wipe the blade(s): no matter the type of Bushcraft Knife you own and use, it is always advisable that you wipe off the surface of the blade daily to avoid rust of any form from clustering on the knife. 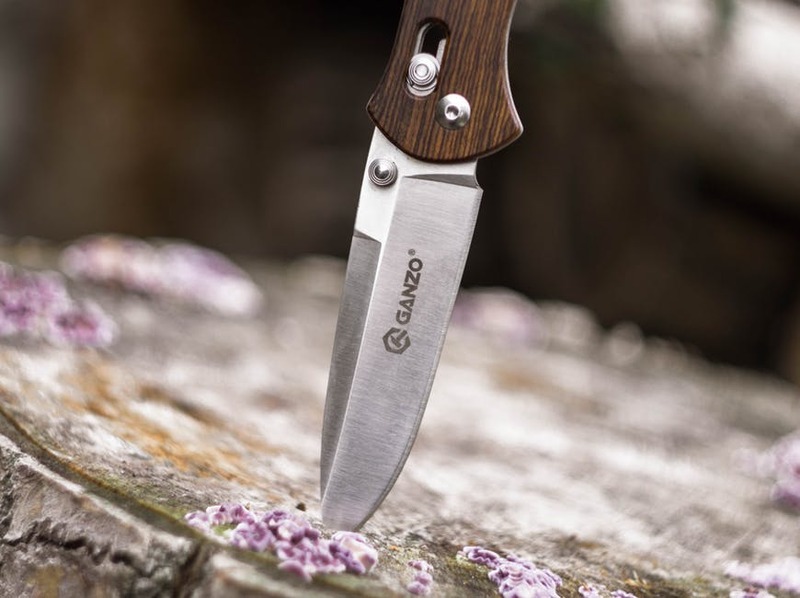 Stainless steel products are prone to rust and any other damages if not properly cared for, so for optimum satisfaction and results, it is best to use a cotton cloth specifically to wipe your Bushcraft Knife with little drops of silicone oil which will greatly increase the lifespan of that knife. For those of you using multi-tools, flush off dirt from the joints: with constant carrying around of your Bushcraft Knife in your pocket, the hinges, and the joints are most likely to become clogged with different types of dirt and debris. This dirt and debris can affect the joints badly, so it is recommended that you flush them thoroughly after every use. There are several things that you can use to flush the joints, and the most common of them is a hose or a kitchen sprayer. Use a hose or sprayer to flush out all of the dirt particles from the hinge and joints of the knife. You can also use compressed air to flush out dirt particles from within the hinges. Just ensure that you dry the knife properly after cleaning to void rust from clustering on your Bushcraft Knife. After cleaning and flushing, it is good to oil the hinges and steels of the knife to increase the lifespan of the knife greatly. Following these simple steps, your Bushcraft knife, or any other knife for that matter, will give you years of enjoyment and service to last a lifetime.